Round Europe there is a Common External Tariff. Therefore tariffs are OK to protect farmers, yes? But, hang on, tariffs against EU farmers restrict free trade and therefore are against the greater good...aren't they? So how can tariffs be good and bad? I see Teachers and students have been visiting here - and yet not commenting. Surely the 35+ posts here cannot all be true - because if they are then much of the Economics that is taught in schools is false! The Bank of England should seek to deliberately increase inflation! The reasoning behind this would be to ensure that there were negative real interest rates. If the Bank of England commits itself to producing significant inflation then real interest rates could become negative. Thus people might borrow money (at 0% interest) and repay in their (devalued) pounds. This would give people a significant incentive to borrow and spend. A little more inflation might be preferable to rising unemployment or a series of fiscal measures that pile on debt bequeathed to future generations. The idea of negative interest rates may strike some people as absurd, the concoction of some impractical theorist. Perhaps it is. But remember this: Early mathematicians thought that the idea of negative numbers was absurd. Today, these numbers are commonplace. Even children can be taught that some problems (such as 2x + 6 = 0) have no solution unless you are ready to invoke negative numbers. This increases tobacco duty in line with inflation. 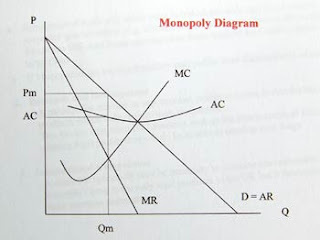 Here's a diagram showing tobacco tax. The problem is that the cigarettes in my local tobacconist went up by the 7p i.e. the full amount of tax. This means the price rose by ALL the tax. Does this mean that the demand is perfectly inelastic? Try drawing the diagram with the price rising by 7p i.e. the full amount of tax. From Thursday 23 April 2009, alcohol duty rates will increase by 2 per cent above the rate of inflation. Beer in my local went up by 1p - but demand is not perfectly inelastic. Is the tax diagram rubbish? This is the price mechanism. As you can see, where demand = supply, we have price. Price = where demand = supply. In perfect competition all the goods cost nothing to produce. If they cost anything at all then that would be a barrier to entry! Therefore as they cost nothing to produce all a firm has to do is produce (with no resources) an infinite number of goods and thus make an infinite profit. If a country has absolute advantage in both products which one do you specialise in? Obviously the one where the gap between the maximum output of Country A and Country B is the greatest! If you draw it with two straight lines it's where there's the greatest distance. That's what the IB Economics book says - so it must be right...mustn't it...? Let's take an inferior good. This will have begative income elasticity of demand. Thus as income falls, demand rises. Equally as income rises, demand falls. If the price of the inferior good rises then real income falls. Thus as per above, more is demanded. So, the price of inferior godos rises and so does demand. So all retailers who sell cheap and tacky goods have to do is...raise the price! If the price for inferior good rises the difference between inferior good and normal good will get less and because of that more people will switch to the normal good. Yes but not everyone. I am referring to the people that do NOT switch! In addition to that if the price of an inferior good rises it doesn't mean that the real income of all people becomes less. It will become less only for those who buy only that good. I am referring to the people who buy the good. So, do you agree that to make more profit all the retailer has to do is raise the price? If the real income falls because of people spent more on inferior goods, therefore the inferior goods wont be demanded more because they bought inferior goods already. Rise in price of inferior goods will depend on how much demand response to the change in prise, it does not depend on the YED. The rise in price depends on the reaction of demand????? "If the price of the inferior good rises then real income falls. Thus as per above, more is demanded." So if price goes up - no problem? Let's take a normal demand curve. Income increases so the demand curve shifts to the right. Now let's talk about elasticity. One of the factors that affects elasticity is...income. Therefore if income rises the SLOPE (gradient) of the demand curve changes...to the right. OK, let's work through this. At the end you'll realise that in fact recessions don't exist. When there is an economic expansion, demand seems to outpace supply, particularly for goods and services that take time and major capital to increase supply. As a result, prices generally rise (or there is at least price pressure) and particularly for goods and services that cannot rapidly meet the increased demand such as housing in urban centers (relatively fixed supply), advanced education (takes time to expand/build new schools), but not cars because automotive plants can gear up pretty quickly. 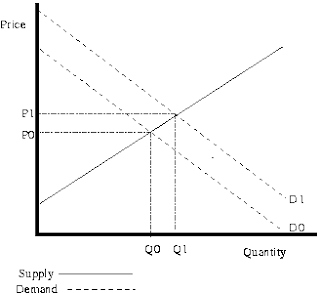 Second, when there is an economic contraction, supply initially outpaces demand. However prices for most goods and services don't go down, and neither do wages. Given that a recession is two quarters of negative growth we can see that if a shift of AD to the right is growth (actual) then negative growth is a shift to the left. And yet prices of most goods and services do not fall. Let's start off with some evidence of Giffen goods and rice. "...show that in each case Giffen behavior is closely associated with poor consumers’ need to maintain subsistence consumption in the face of an increase in the price of a staple commodity. 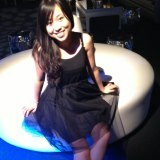 We then present evidence on the existence of Giffen behavior among extremely poor households in two provinces of China. In order to obtain an unbiased estimate of the key price elasticity, we conducted a field experiment in which we randomly subsidized households’ primary dietary staple (rice in Hunan province and wheat flour in Gansu province). Using consumption data gathered before, during and after the intervention, we find strong evidence of Giffen behavior with respect to rice in Hunan province." This suggests that rice is a Giffen good, remember that a Giffen good is an extreme type of inferior good. The negative income effect of changes in price of a Giffen good is actual stronger than the substitution effect. This leads to its bizarre quality: when the price of a Giffen good rises, consumers actually buy more. But what has this got to do with prostitution? Prostitution is a unique labour market. Most people find it an extremely undesirable job, but on the high end, it can be quite lucrative and requires few skills (though a fair helping of unequally distributed natural endowments). These factors make the prostitution market exceptionally sensitive to large fluctuations in wealth and expectations. The most interesting part is that the market is counter cyclical. In bad times more (and more attractive) women enter the market, but they have a higher reservation wage, so they charge more. Less attractive and even cheaper prostitutes may still be available, but for a variety of very good reasons, the customer will not desire the cheapest option, suggesting prostitution services can be classified as a Giffen good. Does this mean that you can quote prostitutes as being a Giffen good in your Economics papers? "House prices could slump by another 55 per cent, a respected City forecaster warns. It also predicts a deep recession lasting throughout next year and a 'very real probability' that Britain will go bankrupt. The report leaked yesterday from financial analysts Numis Securities says that the collapse in house prices is not 'anywhere near over'. They have already fallen 21 per cent from their peak, but the report says they will slump further by up to 55 per cent if the over-correction in prices is as bad as in the early 1990s. That would leave 6million Britons in negative equity - when their house is worth less than their mortgage. " If you're selling your house then the one you are buying has also gone down in price. If you trade UP the house price fall is even greater. 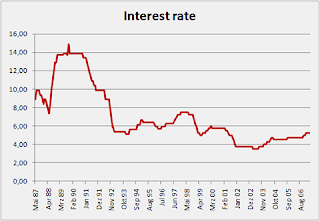 If you borrow money the interest payments are less than ever. If you already have a mortgage then repayments have fallen (unless your mortgage is fixed). So, unless you are emigrating (and the recession is worldwide anyway) what's the problem with falling house prices? ...or is there a mistake in the above analysis? If you increase the money supply does this lead to inflation? Surely people have more money, thus more confidence. Thus investors have more confidence. So they invest more, increasing supply. Thus the productive capacity increases so we have growth. The macro equilibrium falls and so printing money causes prices to fall...doesn't it? The decline in demand is not the cause of recession but a symptom of it. Thus the current fall in demand - for houses, for expensive goods etc - is merely a symptom, not a casue of the recession. In which case....it makes no sense to prop the demand, treating the symptom, as long as the root cause of depression, a drop in profitability of production, due to misallocation of resources, is not fixed. Will a rise in taxes slow inflation? A useful starting point is a defi nition of inflation. Infl ation is a long-lasting rise in the general level of prices. It is a rise which goes on until something changes to stop it. This is in contrast to a change in the price level, which is a move from one price level to another, at which the price level then stays. It might be claimed that a tax increase would remove a continuous cause, for the cause is ‘excess demand’ – demand greater than can be supplied without upward price pressure. Can a tax increase do that? What is to be done with the tax revenue? If it is not to be spent by its recipient, the government, then it will reduce government borrowing, lead to debt repayment, or, in the extraordinary case where a government not only is not borrowing but has no debts to repay, to the government acquiring assets. And exactly the same applies to the acquisition of assets. If these are acquired from the domestic private sector, the recipients have money to spend. It might be objected at this point that the above arguments seem to deny the existence, even in principle, of the Keynesian ‘multiplier’. That, it may be recollected, claimed to show that (for example) a rise in government spending financed by a rise in taxes would lead to an increase in total spending, as private expenditure would fall by less than the rise in taxes. people defer spending in the expectation that ‘prices will be lower tomorrow’. But we are not dealing with that, but with the problem of infl ation; so that special case need not be considered further. the economy (although it may well change its composition). history, we find infl ation rising and falling with no associated changes in taxes: for example, prices fell on average from 1870 to the early 1890s, and then rose steadily to 1914. But there was no matching change (or even series of changes) in taxes. And in the USA, in the late 1960s, a tax increase was imposed but inflation continued until monetary policy was tightened. to stop the hyperinfl ation. But governments have generally got into that situation because they had lost the political support to let them raise taxes – so the recommendation is desirable but not possible. In normal times a tax increase (or a spending cut) might, via reducing government borrowing, reduce interest rates, and this might induce people to hold more money, thus reducing the excess of money supply over money demand. But this would be a once only effect on the excess stock of money; to slow infl ation a fall in the rate of growth of excess money is necessary. To conclude, the claim that a rise in taxes will slow infl ation is without analytical foundation (except in the case of hyperinfl ation) and is inconsistent with the facts. There is therefore absolutely no reason why taxes in Britain should go up to slow inflation. We should NOT try and be more competitive. This is the idea: we should be so good at producing goods and services that we need buy nothing at all from the rest of the world, and can sell anything we want to it. But the whole idea is a nonsense - as David Ricardo showed over 150 years ago. Countries can be rich or poor, efficient or inefficient, but they can always compete in world markets. They specialise according to what is known as comparative advantage. And 'comparative' is a key word. Start by imagining a country which is not open to the rest of the world. It does not engage at all in foreign trade. But there is a market system inside that country. There is internal trade, between producers and consumers inside the country. To summarise so far then, our imaginary economy, cut off from the rest of the world, has a fully developed set of relative prices (the prices of goods relative to other goods). Now imagine that the barriers between this imaginary country and the rest of the world vanish, and the citizens of this economy discover that relative prices are different overseas. For example, suppose that the internal prices were such that if you reduced your wine consumption by one bottle per year, you could with the money buy a pound of cheese. But you discover that overseas, the cheese you could buy if you gave up consuming a bottle of wine was only half-a- pound in weight. Cheese, in other words, was more expensive relative to wine abroad than it was at home. Foreigners would Observe that by coming to this country and supplying wine, they could get more cheese than they could at home. For a bottle of wine would buy them a pound, not a half-pound of cheese. And residents of this country would also gain; for prices would adjust to reflect the increased demand for cheese, and they would end up with more wine than before and, if they wished, no less cheese. Now residents of both countries have gained, and there has been no mention of how 'competitive' either economy is. We could now assume that to produce either good, either wine or cheese, our imaginary country which we started with required twice, or three times, or however many times we wished, the amount of inputs per unit of output as did the rest of the world. That does not matter. It does not prevent the economy engaging in, and gaining from, international trade. So then, the notion that countries 'compete' with one another in misconceived. And not only misconceived. It can cause harm, if it leads to policies which impede international trade. If, for example, we start protecting firms by tariffs or subsidies to produce 'national champions' then we are wasting resources. Nevertheless, that said, it is necessary to be fair to those who talk of national 'competition'. Obviously, it is better to be more productive rather than less. For the more productive one is, the better off one is. Some at least of the schemes to make us more 'competitive' are actually designed to make us more productive. And that is unequivocally a good thing. First, the idea that nations 'compete' with one another in international trade is totally misguided. 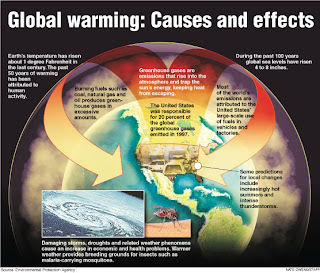 It can lead to harmful policies. Countries gain by engaging in trade with the rest of the world. Trade is a mutually beneficial activity, not a competition. If policies justified by 'competitiveness' are actually intended to raise productivity, then they are aimed at a sensible goal. But they are more likely to be sensible if it is clear what they are for. Consumption (rather than savings/investment) is the source of economic growth. Surely that's obvious? What are the components of aggregate demand? If consumption increases then there will be an increase in investment (accelerator) and thus that injection in turn will create an increase in national income (multiplier) and thus growth. UNLESS all the consumption is on imports, an increase in consumption will shift AD to the right (ceteris paribus). If savings increase then demand falls (paradox of thrift). Thus if savings fall (consumption increases) there is growth. Firms will not invest if they do not anticipate demand so without consumption, no investment. Consumers consume and pay taxes. Taxes are revenue for government from which comes government spending. Without revenue (unless they borrow) governments cannot spend. Exports are to...people who consume. Thus consumption is the main source of growth. There are some who think this is incorrect. Let's think about this though. 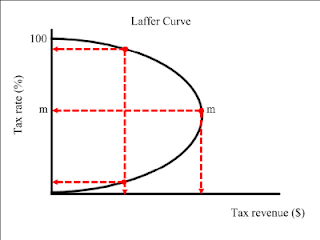 The Laffer curve (see left) shows us that if you cut taxes this MIGHT lead to an increase in tax revenue - but it might not, especially if taxes are cut to zero! But in some cases tax cuts will boost the economy. Cut taxes....disposable income rises...spending increases...some of it on domestic goods. Indirect tax revenue rises. Employment rises owing to the increase in demand. More taxes received. Maybe total tax revenue has fallen....but also maybe with lower taxes people work harder. Supply-side: people unemployed look for work. Administration costs for unemployed, fall. Benefits given out fall. Thus government spending falls so less need to borrow. c. confidence and motivation improve. Productivity rises. So either a) I will look for more work, more overtime (as the rewards have risen) or there will be no reaction other than short-term benefit. Theerfore out of ten people, 7 may have no effect or only short-term, three will work more overtime. Then there's the self-employed. They work hard anyway but cut their tax and the rewards are greater and so they may work even harder. Maybe they have more control over their work-life balance, maybe less. If tax cuts don't make people work harder then why do companies offer higher wages to attract new workers? Why offer productivity bonuses? Unemployment is caused by immigration. All these immigrants from Eastern European countries, Pakistan, Australia, America - everywhere you go. Get rid of them and you get rid of unemployment. Immigrants take jobs that natives won't do - and these people then sign on for Job Seekers Allowance and a host of other benefits. Remove the immigrants and then the jobs would be there. If I employ an immigrant then I pay the immigrant (or any labour, for that matter) less than the value of his/her output - how else would I make a profit? Thus the immigrant adds less to the demand than to the supply - thus excess supply, thus unemployment. Immigrants pay tax, sure but that's out of their wages paid by me. So their disposable income PLUS the tax they pay is less than what they produce. Therefore supply > demand. Having low unemployment and high immigration does not disprove this either. Where demand exceeds supply there is a need for labour up to the point where demand is met by supply. When this is met any extra labour will be unemployed. If part of that 'excess' is made up of immigrants then they are unemployed (but may not be claiming and so will not show in official statistics). Some of those working will be immigrants thus remove them and unemployed natives can take their jobs. Is there anything wrong with the logic above? Unemployment exists when demand is not sufficient to give jobs to all those seeking work. Therefore to reduce it surely all the government has to do is embark on a massive road building programme? Or maybe have the streets cleaned daily, the post delivered twice daily, reduce class sizes and double up the number of teachers. Surely it is that easy isn't it? Increase taxes, use the money to create jobs. The end of unemployment except for those who are work-shy. MANY COMMENTATORS LAMENT that Britain is running a deficit in the current account of the balance of payments. Some worry particularly about our deficit in goods - what is called the visible balance. The second concern is always misplaced. The first is slightly more complicated. It is therefore better to deal with the simple matter first. International trade is basically of two types - trade in goods and trade in services. Exports of either generate foreign earnings, so, from that point of view, it does not matter what is exported. Indeed, it is perfectly normal as countries develop for them to produce and trade in services. International trade in services has been in recent years the fastest-growing part of such trade. Some people worry because manufactured goods have become a smaller part of our output. That is a separate concern. But it is worth remarking that the arguments and evidence do not support the claim that it is intrinsically better to produce manufactured goods rather than services. Given that the composition of exports does not matter, what about their total? Does it matter if we are exporting fewer goods and services than we are importing? The best way to answer this question is to start with another How are we paying for these goods and services? Some of them are paid for by our export earnings. Others are paid for in one of two ways - by running down our savings or by borrowing. Like an individual or a company, more can be spent than is earned, provided savings are reduced or borrowing increased. There are many circumstances where such action is perfectly sensible. There can be favourable investment opportunities, a temporary drop in income, or a chance to buy something more cheaply than usual. There is nothing wrong with borrowing; what matters is what it is for. If spending is wasteful, it is wasteful whether current income or borrowed funds are used. The same is true for a country. If individual decisions by residents, whether firms or individuals, lead to a current account deficit, then a decision has been taken to spend more than income. If the funds being borrowed to finance that spending are used wisely, there is no problem. If they are not used wisely, then it is foolish spending, not the act of borrowing, that is the problem. A striking example occurred in the United States. On average, that country ran a deficit on current account from the last quarter of the 19th century into the first decade of the 20th. It did so because there was a tremendous demand for funds to invest. Population, industry, and agriculture were all expanding westwards. The funds were lent from the residents of European countries, where the expected rate of return on investment was on average lower than in the United States. No one - at any rate, no one I know of - has claimed that the decline of the US set in with that foreign borrowing. It was used productively. The balance-of-payments deficit it engendered was in no way symptomatic of a problem. Sometimes such deficits can be symptoms of problems (though not problems in themselves). For example, the symptom can be of 'excess demand'. Easy monetary policy may have over-stimulated demand, leading not just to rising prices, but also (as goods become harder to obtain or more expensive at home) to more purchases from abroad. If the exchange rate is floating, it will be driven down. And if it is pegged, there will be pressure to devalue. Before summing up, one point remains. If a country is borrowing abroad, it is not necessarily increasing net overseas indebtedness. That may seem surprising - if a person borrows, his or her debts increase. But even in that case, if he or she has assets, they may be increasing in value more rapidly than the new debts. The same can be true of a country. The value of Britain's overseas assets has in recent years increased more rapidly than her overseas debts; increasing borrowing need not, and in this case did not, bring increased indebtedness. Overseas earnings are overseas earnings; it does not matter whether they come from sale of goods or sale of services. A current account deficit - more goods and services being bought from abroad than are sold here - is not itself a problem. It implies foreign borrowing. What matters is not the borrowing, but what has produced it and what it is being spent on. Current account imbalances are symptoms - but they can be symptoms of sensible decisions or of folly. So, the current account deficit does not matter - does it? I drop price a little. You buy more. A lot more. Ceteris paribus, demand is elastic. I drop the price of umbrellas. A lot more are bought. But, oh yes, it is! Does ceteris paribus mean that a lot of Economics is rubbish? One of the disciplines in which ceteris paribus clauses are most widely used is economics, in which they are employed to simplify the formulation and description of economic outcomes. When using ceteris paribus in economics, assume all other variables except those under immediate consideration are held constant. For example, it can be predicted that if the price of beef decreases — ceteris paribus — the quantity of beef demanded by buyers will increase. In this example, the clause is used to operationally describe everything surrounding the relationship between both the price and the quantity demanded of an ordinary good. This operational description intentionally ignores both known and unknown factors that may also influence the relationship between price and quantity demanded, and thus to assume ceteris paribus is to assume away any interference with the given example. Such factors that would be intentionally ignored include: the relative change in price of substitute goods, (e.g., the price of beef vs pork or lamb); the level of risk aversion among buyers (e.g., fear of mad cow disease); or the level of overall demand for a good regardless of its current price level (e.g., a societal shift toward vegetarianism). The clause is often loosely translated as "holding all else constant." The element of time is a chief cause of those difficulties in economic investigations which make it necessary for man with his limited powers to go step by step; breaking up a complex question, studying one bit at a time, and at last combining his partial solutions into a more or less complete solution of the whole riddle. In breaking it up, he segregates those disturbing causes, whose wanderings happen to be inconvenient, for the time in a pound called Ceteris Paribus. The study of some group of tendencies is isolated by the assumption other things being equal: the existence of other tendencies is not denied, but their disturbing effect is neglected for a time. The more the issue is thus narrowed, the more exactly can it be handled: but also the less closely does it correspond to real life. Each exact and firm handling of a narrow issue, however, helps towards treating broader issues, in which that narrow issue is contained, more exactly than would otherwise have been possible. With each step more things can be let out of the pound; exact discussions can be made less abstract, realistic discussions can be made less inexact than was possible at an earlier stage. (Principles of Economics, Bk.V,Ch.V in paragraph V.V.10). Substantive isolation has two aspects: Temporal and causal. Temporal isolation requires the factors fixed under the ceteris paribus clause to actually move so slowly relative to the other influence, that they can be taken as practically constant at any point in time. So if Vegetarianism spreads very slowly, inducing a slow decline in the demand for beef, and the market for beef clears comparatively quickly, we can determine the price of beef at any instant by the intersection of supply and demand, and the changing demand for beef will account for the price changes over time (→Temporary Equilibrium Method). The other aspect of substantive isolation is causal isolation: Those factors frozen under a ceteris paribus clause should not significantly be affected by the processes under study. If a change in government policies induces changes in consumers' behavior on the same time scale, the assumption that consumer behavior remains unchanged while policy changes is inadmissible as a substantive isolation (→Lucas critique). To boost demand, why not simply print more money - not loads, i.e. £bns but a few million here and there - and not tell anyone. Thus the government puts the new money into their account and then uses that to pay benefits etc? The available resources of a country is limited. There is the equal amount of money to be balanced with the amount of resources. Example, a bottle of water cost 1 pound. if too much money printed, it may cost 5 pound to buy a bottle of water. But if the government printed the money, how would anyone know? In a short run, the production capacity of a country is fixed, a sudden amount of money flush into market will results an increases in prices of products,which is actually a decrease in the value of money. It can be understand as an increases in income caused Demand pull inflation. Who would know - and why would it matter if they did? 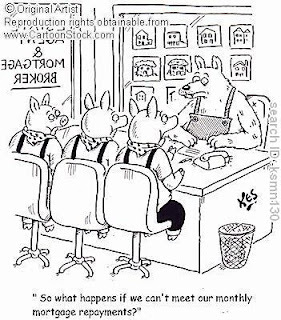 For example, the Bank of England, is injecting £75 billion of cash which it hopes commercial (high street) banks will use as a base to increase lending and so reduce the credit crunch. What is all this 'quantitative easing'? What is quantitative easing? Quantitative easing (QE) its direct purchases of assets by the central bank. In buying assets using newly printed money the Bank of England increases the amount of cash in circulation (M0). Commercial banks use the additional cash as a base from which to make new loans ie credit creation. The stock of broad money (M4) increases. 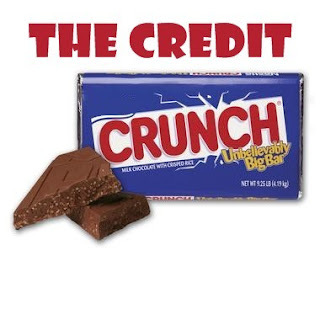 Outline the credit creation multiplier. Commercial banks use cash as a base to create credit. For example, £100 of new cash can be used to make eg £500 of new loans. This is because customers rarely use cash to settle large debts; they transfer bank deposits. How do you translate all of this theorising into hard numbers? With difficulty. But assume the goal is to raise nominal GDP by around £150bn - that’s a common estimate for the shortfall in demand in the economy this year. If you think the money multiplier is alive and kicking and all the banks need is a gentle nudge to lend more, you might think that £10bn in bond purchases would be enough to achieve that. But, if you think the money multiplier is all messed up because of the credit crunch, and a low velocity of money is going to blunt the policy even more, the ratio will move closer to 1 to 1. And the Bank might have to spend upwards of £100bn to get the desired effect. 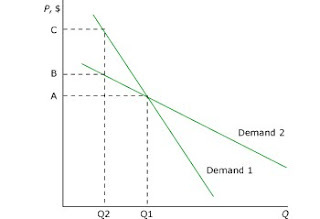 The diagram on the left shows aggregate demand. As you can see, it slopes downwards. But WHY does it slope downwards? 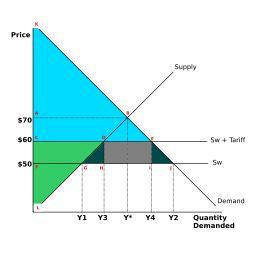 The aggregate demand schedule shows that, ceteris paribus, as prices increase, the quantity of goods and services demanded in the aggregate falls. This is not questioned in the microeconomic case, where a higher price for a good causes both a substitution and an income effect away from the good. However, in the macro sense, there may be neither an income nor a substitution effect. 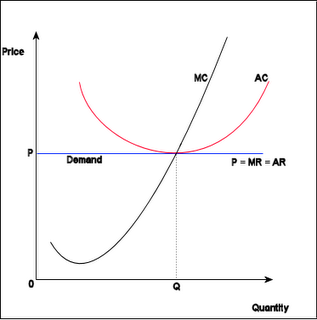 Students often glance over an aggregate demand curve and use their logic to conclude if prices are generally higher, there is an income effect which means that consumers cannot afford to buy as many goods. However, we know that this concept is fundamentally flawed. First, there is the case of a perfect (a.k.a. pure) inflation, where all prices and all incomes rise by the same percent. We know that this would cause no real effects. All consumers buying power would remain the same and all producers would maintain the same profit margin, all lenders would receive the same real interest rate, and all borrowers would still be paying the same real interest rate. With other than perfect inflations, we know that changes in relative prices can redistribute income. If wages rise less than prices, then workers lose buying power, but producers gain profits which increases the income of shareholders. If real interest rates fall because nominal rates rise less than the increase in inflation, new borrowers gain since they pay less in interest. New lenders lose since they receive less in real terms for the use of their money. In the case of existing loans, with a fixed nominal rate, borrowers gain since they pay interest and principle with dollars which are worth less. The gain of borrowers is offset by the loss of lenders. The diagram on the left shows cost push inflation. But why have the cosst risen? Why have the costs of materials risen? One answer is that there is a high demand for them. Thus the 'cost push inflation' has been caused by demand. Which means that it's nOT cost-push inflation...doesn't it? In which case does cost-push inflation exist? The diagram on the left shows cost push inflation. If costs rise then some of these are passed on and so prices rise - don't they? These prices may be wages, tax or materials. If prices rise then I have less money to buy something else. Thus my demand for 'something else' falls and the price of that 'something else' falls. And so the cost push inflation effect is cancelled out...isn't it? In which case cost push inflation doesn't exist....does it? Total revenue has increased - does this mean demand is elastic? Try calculating elasticity of demand? Revenue stays the same - but is this what a calculation of elasticity of demand gives us? The diagram on the left shows the production possibility curve. If efficiency improves then does the curve shift outwards? What if workers, working at their maximum efficiency now INVENT a better way of working - thus they are past their previous maximum efficiency. Does the curve then shift outwards? What if the curve was concave - or simply a straight line? 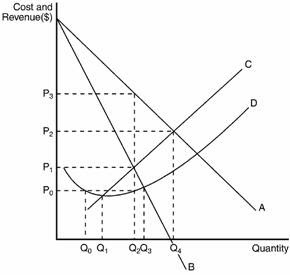 The diagram on the left shows the Marginal Cost curve. Why does it slope downwards and then upwards? If the marginal cost is rising then surely the cost of supply is rising so why do firms supply more if the price rises as the marginal cost is clearly rising? If the demand for a good rises then the price rises. But if price rises then demand falls. But if demand falls then price falls. If price falls then demand shifts to the right. If demand shifts to the right then prices rise. The above shows elastic supply. If the curve was steeper but still going through the vertical axis would it still be elastic? If the curve was flatter but going through the horizontal axis would the curve be inelastic? The Phillips Curve is a relationship between unemployment and inflation discovered by Professor A.W.Phillips. The relationship was based on observations he made of unemployment and changes in wage levels from 1861 to 1957. He found that there appeared to be a trade-off between unemployment and inflation, so that any attempt by governments to reduce unemployment was likely to lead to increased inflation. This relationship was seen by Keynesians as a justification of their policies. However, in the 1970s the curve appeared to break down as the economy suffered from unemployment and inflation rising together (stagflation). The curve sloped down from left to right and seemed to offer policy makers with a simple choice - you have to accept inflation or unemployment. You can't lower both. Or, of course, accept a level of inflation and unemployment that seemed to be acceptable! The existence of rising inflation and rising unemployment caused the government many problems and economists struggled to explain the situation. One of the most convincing explanations came from Milton Friedman - a monetarist economist. He developed a variation on the original Phillips Curve called the expectations-augmented Phillips Curve. The Phillips Curve showed a trade-off between unemployment and inflation. However, the problem that emerged with it in the 1970s was its total inability to explain unemployment and inflation going up together - stagflation. According to the Phillips curve they weren't supposed to do that, but throughout the 1970s they did. Friedman then put his mind to whether this could be adapted to show why stagflation was occurring, and the explanation he came up with was to include the role of expectations in the Phillips Curve - hence the name 'expectations-augmented'. Once again the supreme logic of economics comes to the fore! Say the economy starts at point U with expected inflation at 0%, and the government decide that they want to lower the level of unemployment because it is too high. They therefore decide to boost demand by 5%. The attempt to reduce unemployment would primarily be through boosting aggregate demand (AD) in some way. In the short run, the increase in AD would lead to a rise in national income and subsequently we might expect unemployment to fall. This is represented by a movement along the Philips curve to point V.
However, the adjustment period would also mean that there would be shortages in the economy which would 'pull' prices up. The increase in these prices leads people to seek wage demands that give them a 'real' increase, i.e. is above inflation. Since inflation has risen people could reasonably be expected to build an anticipated inflation rate into their wage demands. If these wage demands were granted (and in the days of powerful trade unions and without the emphasis on global competition as there is now this was very likely), the result would be increased costs for businesses. 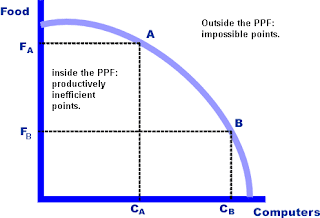 The increased costs caused the AS curve to shift to the left and the economy would be at point W.
Firms would push up prices to maintain their profit margins or shed labour in response to the additional demand and higher costs and the net result would be that the economy would be back to the unemployment level it started with (U) but with a higher level of inflation (5%). (Note how we have used the framework of AS/AD to explain the Phillips Curve - this shows how closely related the two things are!) The increase in demand for goods and services will fairly soon begin to lead to inflation, and so any increase in employment will quickly be wiped out as people realise that there hasn't been a real increase in demand. So having moved along the Phillips curve from U to V, the firms now begin to lay people off once again and unemployment moves back to W. Next time around the firms and consumers are ready for this, and anticipate the inflation. If the government insist on trying again to reduce the unemployment the economy will do the same thing (W to X to Y), but this time at a higher level of inflation. In future wage negotiations they may not push just for a 5% increase in wages but 5% + ! They might think that given that inflation had risen by 5% last year it might rise by 8% next and so put in for a wage rise of 11% to ensure they get a real pay increase plus cover themselves for any anticipated inflation. Any attempt to reduce inflation below the level U will simply be inflationary. For this reason the rate U is often known as the Natural Rate of Unemployment. If inflation rises then exports become uncompetitive and so they fall. Exports are injections so AD falls which means unemployment rises. If there is inflation then demand for Imports will rise and so leakages increase and so...unemployment rises. If unemployment is low then exchange rates are high which makes imports competitive, exports not so...so unemployment rises. So, really, inflation is high and unemployment is high; inflation is low and unemployment is low. The chart on the left shows the output gap. But...do we want an output gap? How do we estimate the potential output? How do we calculate current output - how does the government know what I am 'outputting'? What about people who do not 'produce' - waitresses, bankers, bus-drivers, street cleaners...teachers? Is a 'positive' output gap good for the economy? Is a negative output gap, 'bad'? What do we do if there is a gap that is getting wider? What if our figures for 'potential' are wrong?